Apply for a position at either Wadsworth Campus or Medina Campus locations. 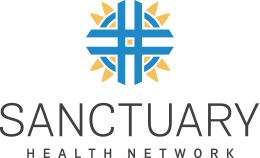 Sanctuary Health Network offers full-time employees generous benefits including health insurance, pension, life insurance, and paid time off. Part-time employees are also offered paid time off and may have the option to purchase health insurance. To become part of our dedicated team of professionals, apply in person or email your resume to HR@SanctuaryHealthNetwork.com. Please indicate which position you are applying for in your email.